Nominate Ball ‘n Biscuit as Best Milwaukee Caterer! Think Milwaukee is ready for the likes of Ball ‘n Biscuit? Well, we’re ready to grow! If you love us, let the world know by nominating Ball n’ Biscuit as “best caterer” on the Shepherd Express Best of Milwaukee ballot. And don’t stop with us! Keep it going by nominating all of your local favorites — your recommendations mean the world to independent businesses like ours. 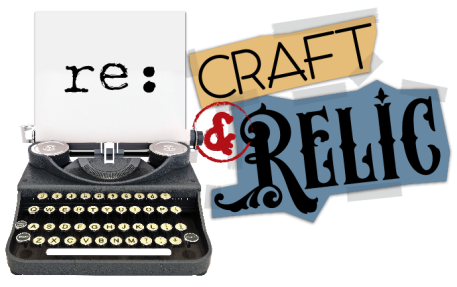 We are beyond excited to be the official food vendor for re:Craft & Relic! This event is going to be big: Two days of shopping, food and entertainment with 200+ makers and artisans who re-purpose/reclaim/recycle materials in creating their crafts. Ball ‘n Biscuit is providing the food, and Table of Contents Vintage Rentals is designing the decor for both our food stations and our bar. Where: Milwaukee County Sports Complex, 6000 W. Ryan Rd. How much: Tickets range from $5 – $20 and can be purchased online ’til April 7. Dinner of love and Friendship. Family style seating, 6 courses plated dinner: $76.00 plus tax. BYOB! For the Saturday, February 13th dinner, reservations are filling up and both dates have limited seating. Please contact ballnbiscuitcatering@gmail.com for more information, reservations and general questions. Come and enjoy music, friendship – old and new – and great food in a cozy, intimate space. 1737 N. Palmer St Milwaukee, 53212. Celebrate love and let us put a spell on you!